If you are serious about growing your company online, you need a responsive website.Tablet and smart phone use represent 67% of searches now being done, according to Google’s recent stats.Here are 5 reason's why you need a responsive website. 1. Better usability, more commonly known as user experience. When done well, a responsive design will be completely transparent to the user. The result is enhanced usability and improved conversion rate. Poor presentation turns users off. A responsive site means that it’s easy to read, and even more importantly, easy to interact with. It will encourage sharing and thus extend your reach. Search engines really do want to return the best results. They’re looking for results that will offer great user experiences. If the search results detected are mobile and tablet friendly they will absolutely return better rankings for both paid and yes, organic search. Adaptive SEO is about making sure your search marketing strategy is aligned with the latest algorithm changes by Google. Responsive design is a key element in adaptive SEO. Keeping content new and relevant is extremely important to search engines. 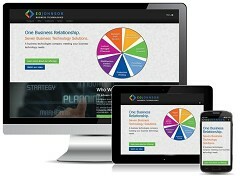 Responsive design ensures shortened maintenance timelines and one update will immediately be visible on every device. Additionally, with changes being done once instead of on a website, then a mobile site also means cost reduction. Your responsive website makes it so much easier to measure your success. Web analytics will populate for you across all user devices in one spot. No more manual reporting! Using responsive web design will increase user engagement as well as significantly increase conversion rates among mobile users.